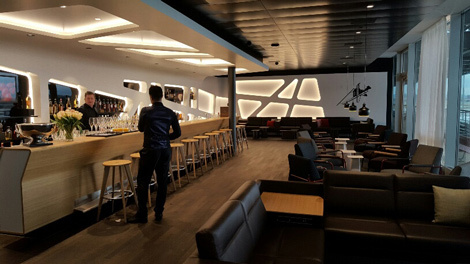 Swiss today unveiled its new Dock E lounge complex at Zurich Airport, timed for the arrival of the first of its new Boeing 777-300ERs. The new First Class, Business Class and Senator lounges are located in the airport’s Terminal E.
The three lounges total more than 3,300 square metres and are close to the long-haul departure gates. 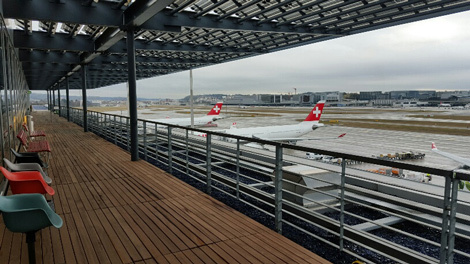 All three lounges have access to an outdoor terrace with views of the airport and the Swiss Alps beyond. The new spaces have been designed in zones with open areas, working areas, screened off for privacy, and rest zones. 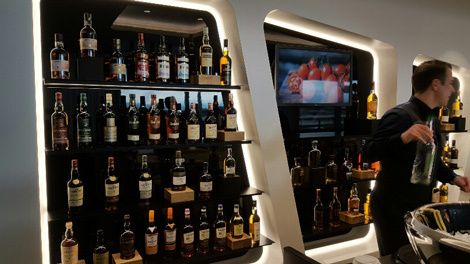 The lounges have chefs preparing fresh meals, while the Senator Lounge has a Whisky Bar offering over 120 different whiskies. 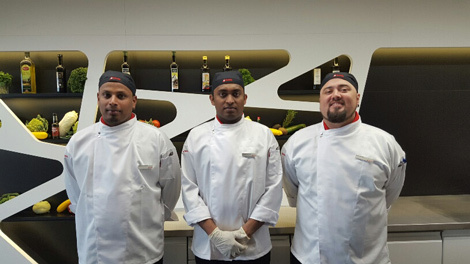 The Swiss First Lounge has a restaurant with an extensive menu, including the option of fondue or raclette on the terrace in the winter months as they take in the spectacular vistas. “More and more our customers choose an airline because of the overall customer experience, not just what is in the air. We need outstanding lounges like these ones particularly in our hub. “For many customers, flying is a one-stop product as they choose a hub to connect through, and as competition from other hubs increases we have to differentiate ourselves. “The new hubs achieve this: we have limestone walls, Swiss hospitality and cuisine, and a warm and earthy colour scheme scheme which represents Switzerland very well. Free wireless, lots of plug sockets to charge their items, space but also privacy so people can properly relax, hence the zone concept of the design of the lounge. “Our location on top of Dock E is that it’s so great to be so close to the gates, so customers can leave the hassles of passport control and security behind and enjoy the lounge until the very last moment. Business Traveller also had a tour of Swiss’ new B777-300ER aircraft today – photos and more details will be posted here.